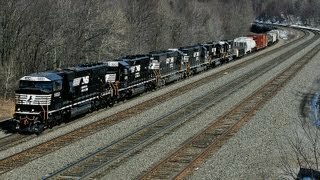 HD: Norfolk Southern, BNSF, CSX GP15-1 and Lots of Leslie RS3L! 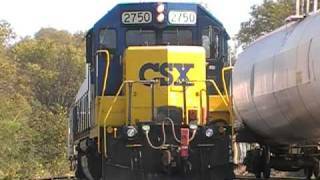 Conrail Shared Assets train WPCA-51 heads southbound on the Beesley Point Secondary. First location filmed is in Audubon, NJ. Second location is Barrington, NJ. 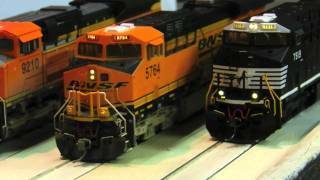 After dumping off the two six axle locomotives (NS C40-8W and the BNSF unit) down the track a bit. 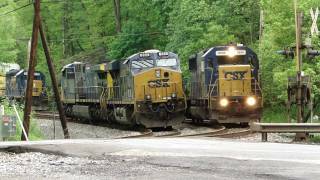 The CSX GP15-1 and the Norfolk Southern high hood were brought along to switch out International Paper in Barrington, NJ. The track for the industry is unable to handle six axle power, thus the two four axles were brought along to work the locals. 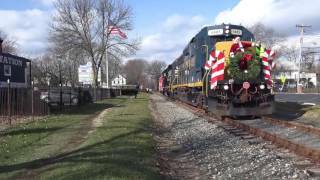 The BNSF unit and NS unit were along for the ride as they were to be used to bring back the empty stone train at Winslow, NJ. 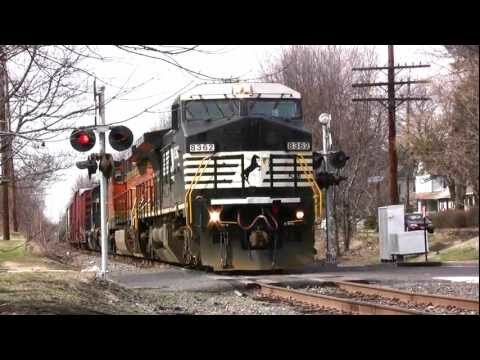 A friendly engineer on today's train lays on the Ex-Conrail Leslie RS3L as it passes several crossings along the route. As always, thanks for watching! Please take a second to leave a comment and click the "Like" button. Thanks! Love the horn and thanks for posting! 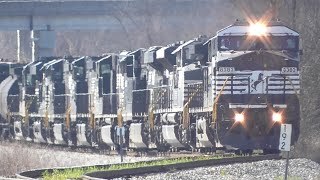 nice video and great catch of the 4 cool engine's on the freight train. 5:12. Did another engine blow its horn? Ah, okay. Thanks for that. Actually, yes and yes. The RS3L is sick, and in this case the air is struggling to get through one of the bells on the horn, also there is an echo if you listen carefully. Actually, no and no. The RS3L is kinda sick. That's why. You sure, Horn sounded different. 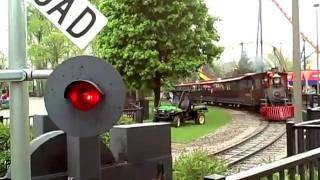 Listen to the horn at 5:12 to 5: 14, it sounds goofed up. 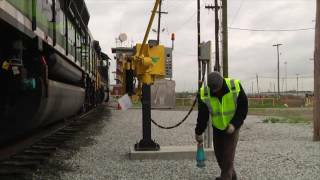 Conrail unit. Marker lights removed. Good catch. Thought all the GP-15-1's were gone. That ocal was jjst a bit overpowered. Guess those GE's came off of 38G or 64W? I used to blast the beginning at school with the computer speakers all the way up. what camera are you using in this film? great stuff! And what interesting ops on this line too! I love the horn. Sounds so great!! 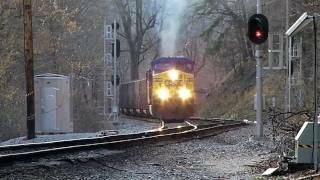 It's the practice of many railroads to borrow, rent, lease or otherwise use locomotives from other lines when they are running short on power in certain districts or subdivisions. 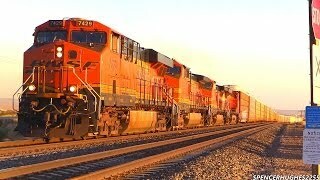 I live near the BNSF mainline in Fullerton CA and I have seen locomotives from Union Pacific, Conrail, CSX, Norfolk Southern, Kansas City Southern, and even Ferromex powering BNSF trains. 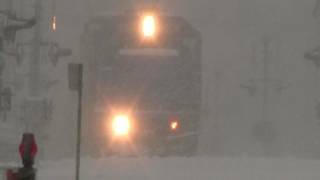 I've also seen Amtrak trains coming thru Fullerton with BNSF and UP engines on the point when the Amtrak train had engine troubles. Always loved those RS3L's. The old Santa Fe had a lot of them on its engines back in the day. Played a diminished chord if I remember my music theory correctly. That somewhat discordant chord was meant to attract attention, which it always did. 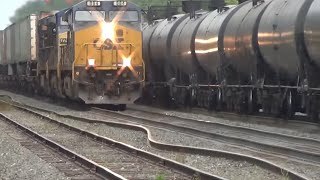 question l can understand rail cars belonging to different lines running on the lines and understand some companies have gone out of business but why are CSX BNF NORFOLK hooked together in one video ? 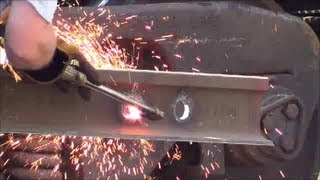 The best railroads at work!!! Great catch. I have these locos in n scale. Ah, glad to see a different view of this epic CA-51. Was a great day. Awesome vid! 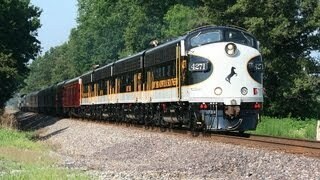 And nice K5H and red marker lights on 1546! I was too late to catch them working International Paper. Anyway, thumbs up and a fav. Awesome catches with killer consist!! 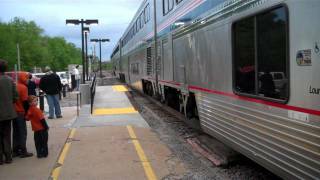 Amtrak SW Chief #3 and BNSF 7918 meet in La Plata, Mo.